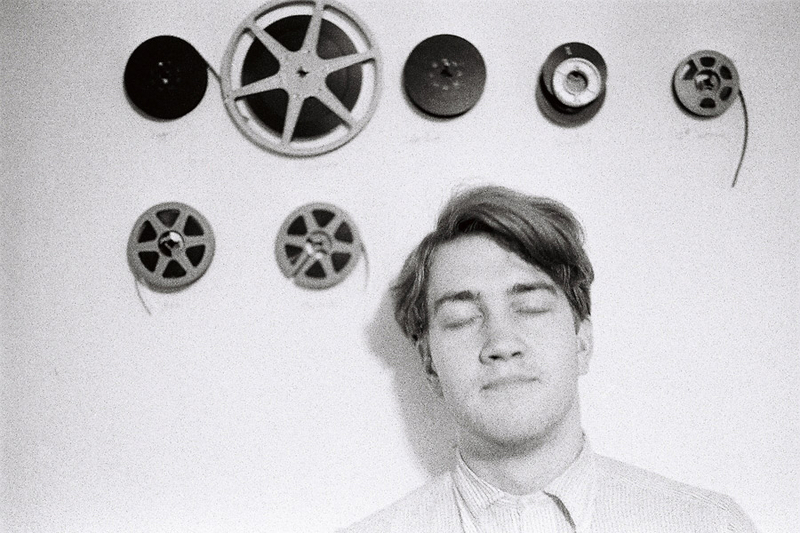 “The paradox of the Lynchian sensibility is that it is at once easy to recognize and hard to define,” Dennis Lim writes in David Lynch: The Man from Another Place, his remarkable new critical biography of the director. “A common trap is to fall back on the vaguest of terms: feeling, impressions, moods. But vagueness, of course, is a central quality of the Lynchian, tied as it is to ineffable notions—the sublime, the uncanny, the abject—and to the uncontainable sensations that define Lynch’s best work: abysmal terror, piercing beauty, convulsive sorrow.” This sensibility has been cemented in the popular imagination through feature films such as Eraserhead, Blue Velvet, and Mulholland Drive, as well as the television series Twin Peaks. But as Lim points out in The Man from Another Place, Lynch’s fertile imagination has never lain fallow between these better-known works, yielding a substantial body of peripheral projects in the form of web series, one-off short films, albums, paintings, comic strips, television commercials, fashion, and furniture design. Lim will also present two of Lynch’s many commissions, Lady Blue Shanghai (2010), made as a promotional film for Christian Dior, and Clean Up (1991), a vermin-swarmed public service announcement advising New Yorkers against littering. Further rounding out the lineup is a selection of Lynch’s first films, such as his queasy student animation Six Men Getting Sick (1967) and Amputee (1974), an early experiment in videotape, depicting a woman writing a letter as a nurse tends to her bandaged leg-stumps. Perhaps the most enigmatic of all, however, are Lynch’s daily weather reports, which he uploaded to the internet for several years, recording them directly from the webcam of his computer. Here in in L.A., mostly blue skies, some white clouds floating by, muted golden sunshine, very still, 52 degrees Fahrenheit, 11 Celsius. Both low-tech and low-affect, these transmissions serve as precise doses of Lynchiness, delivered right to your screen. And who better than Lynch to take the temperature of banality? Copies of David Lynch: The Man from Another Place will be available at the event.